Refill My Bottle Gili Islands is a project from mindful businesses on Bali and the Gili Islands that want to make a difference. Together, we created a network of water refill stations where people can refill their bottle for free or a small fee. By doing this we increase sustainability, make a lasting impact on the environment and help keep our islands beautiful. 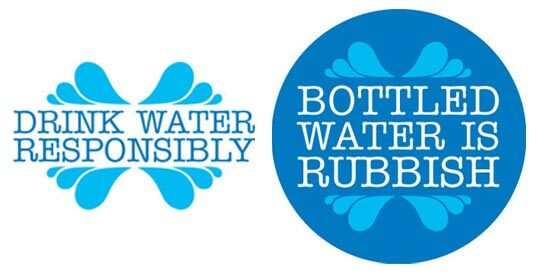 No need to buy a new bottle of water every time, as now you can just refill it! Considering we each drink at least 1.5 litres of water per day, after only a few days, it becomes a very considerable reduction of single-use plastic consumption. Also, by refilling your bottle and asking around where to refill, instead of buying a new one, you are showing and teaching good habits to everybody you will talk to. Don’t underestimate the impact you can have on others. Being an example can only benefit the people and the environment around you. Would you like to know where your closest Refill Station is? You can download the app or have a look at our map. Refill my Bottle is part of our Plastic Free Paradise Campaign. 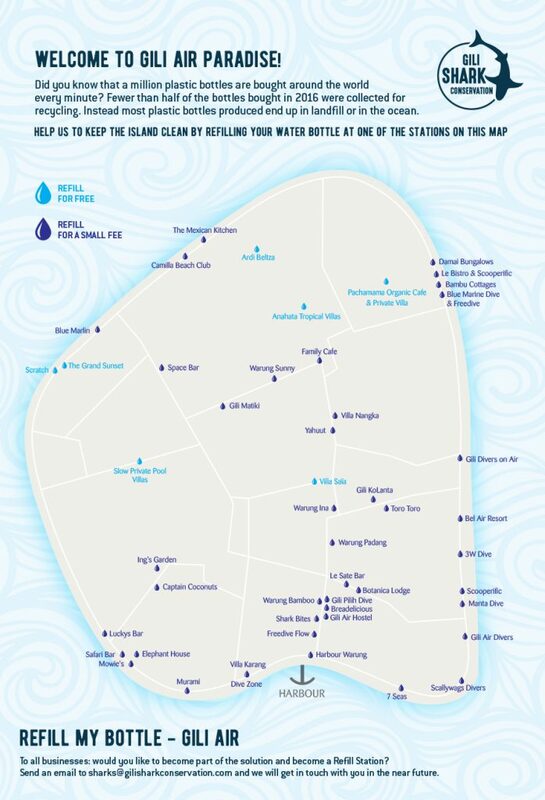 Would you like to be part of the solution and become a Refill Station on Gili Air? Send an email to sharks@gilisharkconservation.com and we will set you up. It’s up to you if you want to offer water for free or for a small fee. We will also showcase your business on the map of Refill Stations and we will add you to the RefillMyBottle App, unless you’d prefer not to be featured. Don’t hesitate to contact us and help to reduce the amount of single-use plastic from our island!